...... clinic management software, dental patient education software and dental laboratory management software solutions. 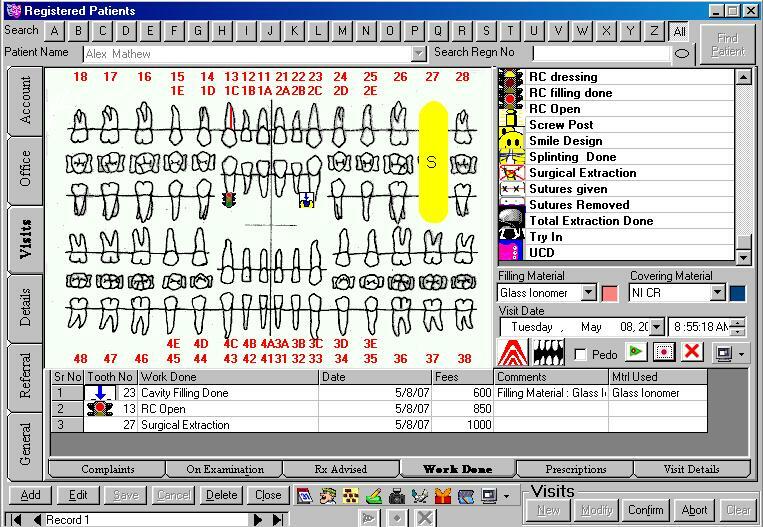 Our dental software solutions bring to you a similar set of features which are available in products many times its price.Our expertise in the dental automation industry is demonstrated by continuing product enhancements. Saraldent provides you with the software tools to run your dental practice effectively and increase productivity. * Easy migration from other dental practice management systems. Qweas is providing links to SaralDent 4.0 as a courtesy, and makes no representations regarding SaralDent or any other applications or any information related thereto. Any questions, complaints or claims regarding this application SaralDent 4.0 must be directed to the appropriate software vendor. You may click the publisher link of SaralDent on the top of this page to get more details about the vendor.